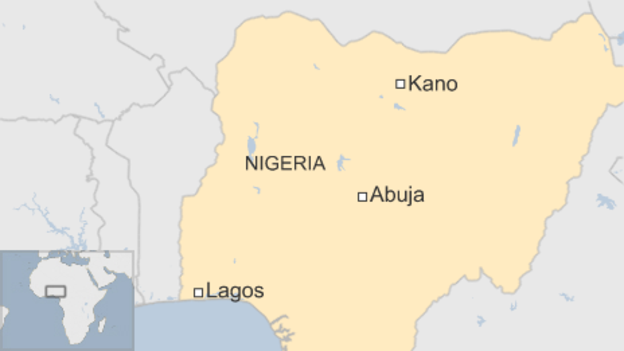 Two huge blasts have been heard at a mobile phone market in northern Nigeria's main city, Kano, reports say. Residents say one of the bombs went off inside the market, and the other outside a place called Farm Centre which sells mobile phone accessories. There are no details of casualties yet or the motives for the attack. No-one has said they are responsible for the attack but militant Islamist group Boko Haram has previously attacked Kano. Kano was attacked by a female suicide bomber who blew herself up outside a mosque on 6 July, killing herself and injuring another person. 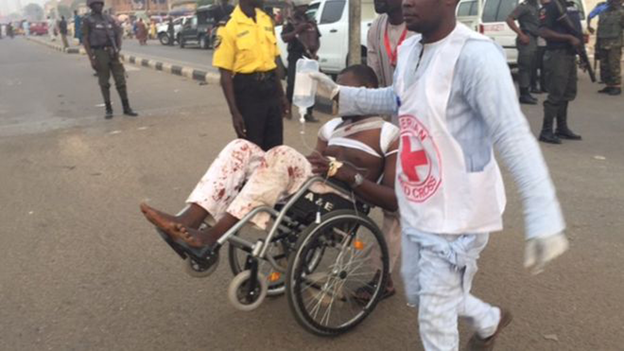 The most recent attack comes a day after more than 30 people were killed by a suicide bomber in the north-eastern city of Yola, in an attack blamed on Boko Haram. The Global Terrorism Index says 6,644 deaths were attributed to Boko Haram in 2014, making it the world's deadliest militant group. Witnesses told AFP news agency the explosions went off just after 1500 GMT. Joined so-called Islamic State, now calls itself IS's "West African province"